Tylers Knowe is situated just off the A75, is 7 miles from the town of Dumfries and is in close proximity to the new DGRI. Offered for sale with no onward chain and benefiting from a flexible internal layout which would be ideal for anybody requiring a separate 'annex'. 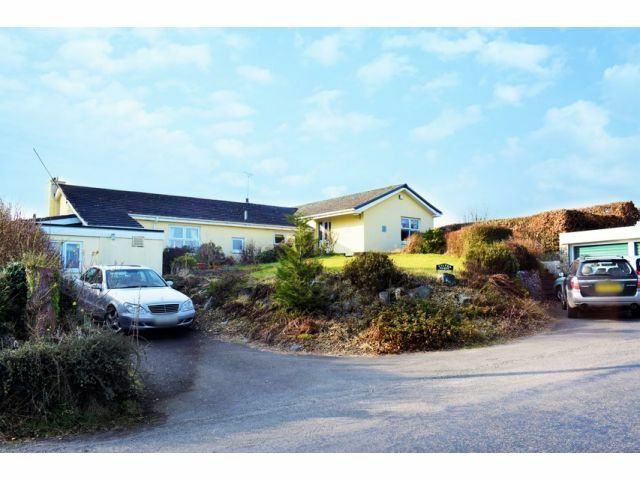 Comprising of a spacious Lounge with Panoramic Views, Dining Room / 2nd Reception, Further Sitting Room / Office, Kitchen, Utility Room and Sun Room. Four Double Bedrooms, Bathroom and Two Shower Rooms. Outside there is a double garage and garden to the front and a large enclosed multi level rear garden with open country views. Coving, ceiling light, smoke alarm, telephone point. Radiator, carpeted flooring. Two windows to side and one to rear. Coving, smoke alarm, two x two wall lights. TV point. Original fire and fireplace. Two radiators, carpeted flooring. Patio doors to side leading to rear garden. Window to front and two windows to side. Coving, two ceiling lights, TV point. Two built in double wardrobes. Radiator, carpeted flooring. Window to side. Coving, fully tiled walls. Four x one spotlights, shaving point. Suite comprising of toilet, wash hand basin and bath. Radiator, vinyl flooring. Loft access. One x three spotlights, two storage cupboards. Carpeted flooring. Two windows to rear. Recessed lighting and ceiling light. Range of wall and base cabinets with two pull out pantry cupboards, tiled splashback. Leisure range style cooker and extractor fan. Sink and drainer with mixer tap, integral dishwasher. Integral fridge and freezer. Breakfast bar. Radiator, laminate flooring. Two windows to front. Ceiling light, two wall lights, dado rail. Two radiators, carpeted flooring. Windows to side and rear. Four wall lights, original fire and fireplace, large storage cupboard with shelving. Radiator, carpeted flooring. Window to front. Ceiling light, fitted over bed furniture, radiator, carpeted flooring. Window to rear. Ceiling light, storage cupboard, fitted over bed furniture, radiator, carpeted flooring. Window to front. Ceiling light, fully tiled walls. Suite comprising of toilet, wash hand basin set into vanity unit and shower cubicle with mixer shower. Radiator, tiled flooring. Window to front. Two x three spotlights, wall and base units, tiled splashback. Stainless steel sink and drainer with mixer tap, plumbing for washing machine. Raised storage area. Vinyl flooring. Window to front and window to rear into sun room. Four x two spotlights, radiator, carpeted flooring. Ceiling light, extractor fan, fully tiled walls. Suite comprising of toilet, wash hand basin and shower cubicle with electric shower. Radiator, vinyl flooring. Double glazed. Ceiling light with fan, tiled flooring. French doors to rear garden. Detached double garage with electrics. Off road parking area with steps leading up to house. Raised lawn and mature planting to front. Large enclosed rear garden with open country views. Mature planting borders and shrubs. Pockets of lawn and patio sections with feature raised patio area. Two greenhouses included in sale. Offers in the region of £250,000 are invited and should be submitted to lj Residential, 93 High Street, Annan, DG12 6DJ or by fax to: 01461 205037.